AyurvedicYogi » Now booking for Autumn Ayurveda and Yoga retreat! Now booking for Autumn Ayurveda and Yoga retreat! Booking information: Please email joanna@adventureyogi.com for booking information. Price per person is based on two people sharing a room and depends on room type. The cottage is a short walk from the main house. It is a comfy cottage with no real glamor but the perk is that you get your own room. If you wish to share a room in the cottage with a friend or loved one the price comes down a bit more. A beautiful accommodation for those that like to have their own space. A private room with en-suite bathroom decorated to a high standard, feel pampered. Cost for single occupancy for rooms where the price is based on 2 people sharing is 50% extra. For more information click here. Refresh body and mind by escaping to the countryside for a rejuvenating Ayurveda and Yoga retreat. Immerse yourself in ayurveda, yoga, enjoy health fortifying food and explore the stunning Somerset countryside on this relaxing yoga retreat weekend. There will also be a 90 minute introduction to Ayurveda workshop. On these weekends pamper yourself with a treatment, curl up by the wood burning stove, have a snooze or indulge in a book you have been wanting to read but haven’t had time. 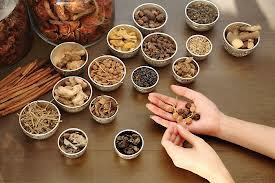 Common Ayurvedic herbs, spices and making simple Ayurvedic home remedies for common ailments. So let the Ayurvedic Yogi and AdventureYogi team work their magic on you on their yoga weekend retreats in the Somerset countryside.